Toddlers and food. They may be cute, and say funny things, and squish you tight over and over, but toddlers can be little terrors when it comes to food! 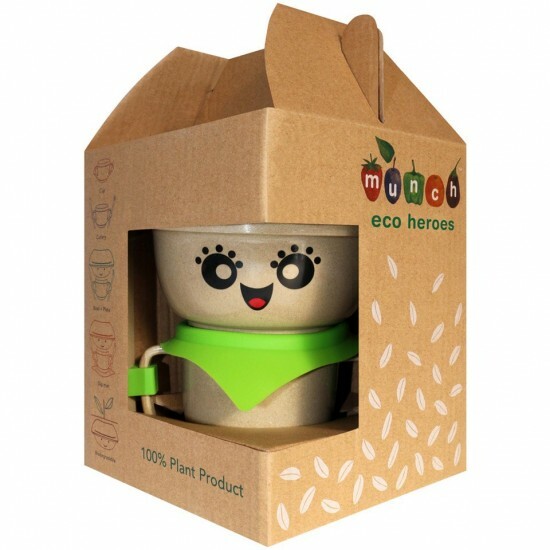 I can’t guarantee that the Munch Eco Hero Feeding Set will calm the savage beast that is your toddler saying nononononono. 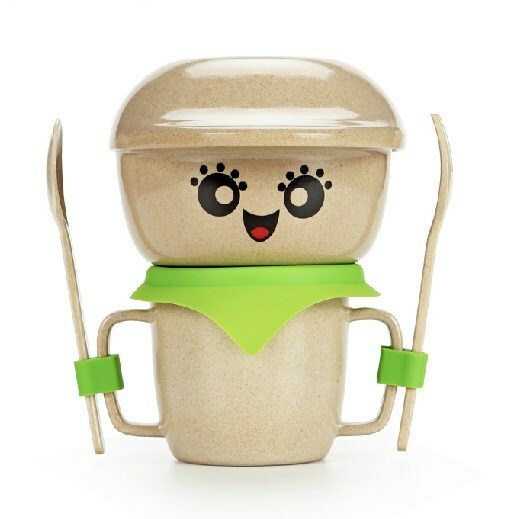 But, at least it’s cute enough that your time staring at the food will be a little easier on the eyes. This set might just make you feel like the Hero it claims to be. 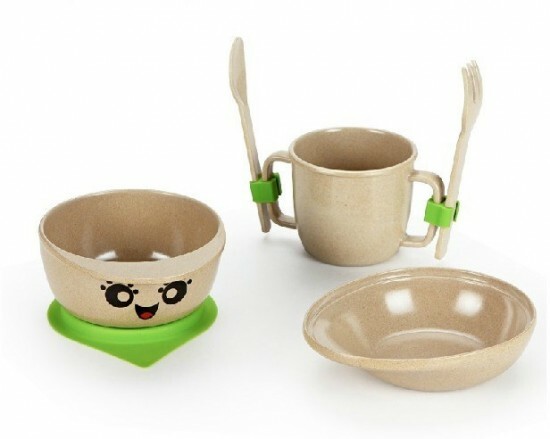 It includes a cup with handles for easy grabbing, baby-sized plate and spoon, fork, bowl, and a non slip mat to keep items on the table and off of the floor (until your toddler picks them up and throws them, of course). All in all, I think it’s one of your best bets at mealtime.